(A) Ashley Wood. From 3A Trading Company. Gaze into the face of Fear! The grotesque and imposing Dark Judge hellbent on terrifying all life to death as he passes his judgment! 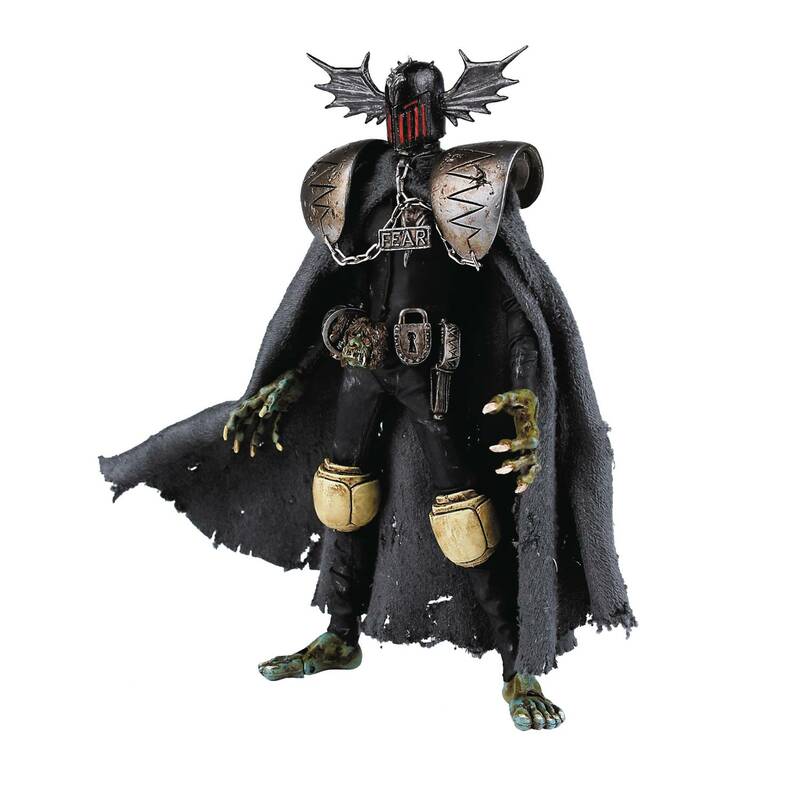 3A's 1/12-scale collectible series edition brings the haunting visage to life with an incredibly detailed and fully articulated sculpt, gorgeous paint applications, and intricately faux-leather tailored fabric outfit including real metal chains. Created by John Wagner and Brian Bolland, with a design inspired by Bolland, the fully articulated figure stands 6 5/8' tall with a uniquely designed 1/12-scale Dark Judge body. Accessories include interchangeable face of fear, a destructive bear trap with real metal chain and 5 additional interchangeable sculpted hands..